The European Network for Avant-Garde and Modernism Studies (EAM) devotes itself to the study of the avant-garde and modernism in Europe within a global setting, throughout the nineteenth and twentieth centuries. The network promotes interdisciplinary and intermedial research on experimental aesthetics and poetics, and aims to encourage an interest in the cultural dimensions and contexts of the avant-garde and modernism. EAM aspires to embrace the wide variety within avant-garde and modernism studies, and welcomes all scholars engaged in these areas of research to participate in its bi-annual conferences and to contribute to its open-source bibliography. All EAM initiatives, including its book series European Avant-Garde and Modernism Studies, are trilingual (English, French and German). 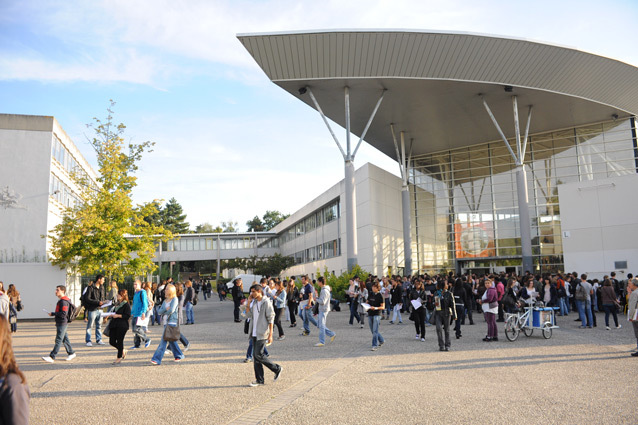 The next EAM conference will be held in 1–3 June 2016 at the Centre d’Études des Littératures et Langues Anciennes et Modernes (CELLAM) in Rennes, France, and will deal with the theme of Quest/Investigation. Again a team of the Avant-garde research network ViennAvant will present its research at the conference. Modernism and Avant-gardism are artistic languages of rupture. Both were directed against traditional ways of conceiving art, often assuming an antagonistic position in relationship to existing cultural and social institutions and relationships. This conference explores the utopian alternatives which Modernist and avant-garde artists offered to existing society. This was not always simply a question of taking an outside position: for example, the Russian avant-garde was co-opted by the early Soviet state in an uneasy – and temporary – alliance to give birth to the New Man. 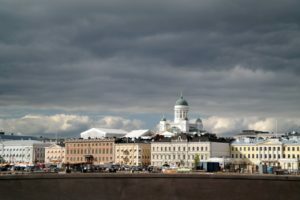 The 2014 EAM conference in Helsinki commemorates the centenary of the break-out of the First World War by taking as its starting point the many utopian dreams within European literature and arts as well as their collapse in the face of the horrors of war. The effects of the War lasted throughout the century, and the conference will also explore the utopian dimensions of the neo-avant-garde, be it that of the West which dreamed alternatives to conformism and consumer society, or of the East which sheltered alternatives to socialist dystopia. Gabriele Jutz, University of Applied Arts, Vienna, and her collegues Nina Jukic and Christina Pia Hofer presented the Panel “The Utopian Potential of the Obsolete”. 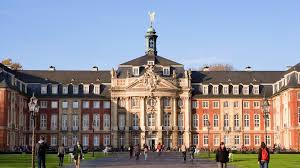 David Ayers, Professor for Modernism and Critical Theory, University of Kent ist preparing this third biennal conference of the European Network for Avant-Garde and Modernism Studies (EAM). This conference investigates the avant-garde’s reconfiguration of matter and materials in the quest to generate new meanings and effects. Its particular focus will be the manner in which different artistic disciplines adopt strategies, theories and techniques from each other, and how they translate, transform and integrate conceptions and modes of expression from other sign systems. Contribution to all aspects of avant-garde activity were presented: arts, literature, music, architecture, film, artistic and social movements, lifestyle, TV, fashion, drama and performance, activism, design as well as technology. Thomas Eder reported great interest in Austrian Post-war Avant-gardes especially in the british Research community. Translation of key works are planned. high and low culture in the European avant-garde and modernism. poetic and aesthetic agenda of modernism and the avant-garde? capitalism developed somewhat slower teach us in this context? of the so-called Eastern bloc as well? modernism’s and the avant-garde’s legacy? 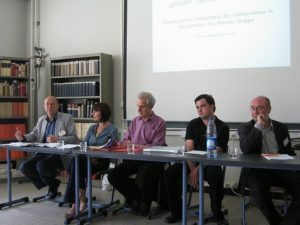 Gabriele Jutz of viennAvant attended this second EAM-conference again, this time in the course of a tree hour’s session “Avant-garde-Literature and –Film in central-european context”. 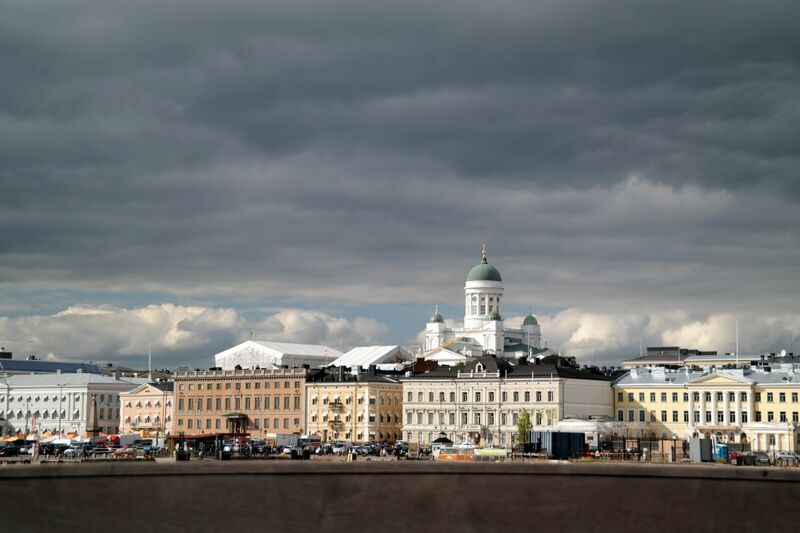 At the initiative of the Nordic Network of Avant-Garde Studies, the European Network for Avant-Garde and Modernism Studies (EAM) was founded and has organized its first conference entitled “Europa! Europa?” in Ghent at the end of May 2008. For this purpose a call was announced for multidisciplinary panels, consisting of representatives of three different disciplines plus one moderator. A ViennAvant team consisting of Thomas Eder (Literature), Gabriele Jutz (Film Studies) and Bernhard Steger and Rudi Kohoutek (Architecture) submitted the project “Die Verbesserung von Mitteleuropa aus dem Fundus lokaler Traditionen. Nachkriegsavantgarden in Wien 1945–1970” [Utilizing the pool of local traditions for the rehabilitation of Central Europe. Post-war avant-gardes in Vienna 1945–1970], which was selected for the conference in the face of a strong competition. 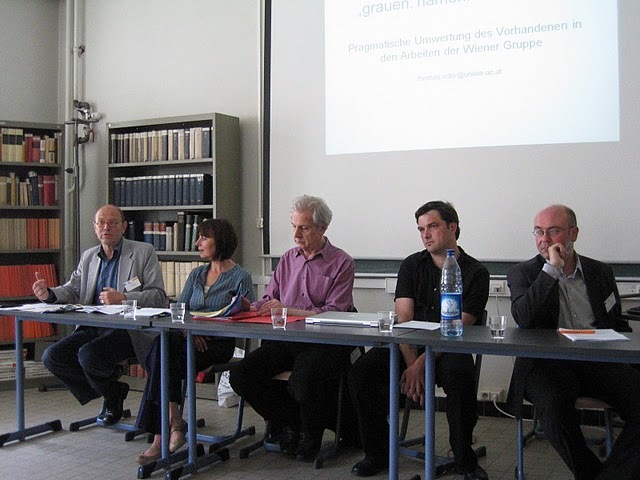 – Thomas Eder (University of Vienna): “grauen, namloses grauen”. Pragmatische Umwertung des Vorhandenen in den Arbeiten der Wiener Gruppe [“horror. nameless horror”. A pragmatic revaluation of the given in the works of the Wiener Gruppe.] – Gabriele Jutz (University of Applied Arts Vienna): Die Politik des Dialekts in der österreichischen Filmavantgarde [The politics of dialect in Austria’s film avant-garde]. – Rudolf Kohoutek / Bernhard Steger (Vienna University of Technology): Wiener Architektur 1955–1970: Avantgarde wider Willen, aber erst recht [Viennese Architecture 1955–1970. A reluctant, but nonetheless determined avant-garde]. – Wolfgang Müller-Funk was the panel moderator. The presentation of the group met with great interest. Posted on 20. May 2016 21. December 2016 Author Helga KoecherCategories EAMLeave a comment on EUROPA ! EUROPA ?